The UNESCO World Heritage site of Delos, on the small island located near Mykonos in the Cyclades, on October 6 and 7, will host the world premiere of the one-act lyric opera titled, “Hera Descends on Delos”. The opera focuses on the eternal battle between life and death and presents the discussion of a mortal with two ancient Greek goddesses; Hera and Aphrodite. “This artistic event aims to create a bridge of communication between ancient civilization and contemporary art through the modern lyrical work. 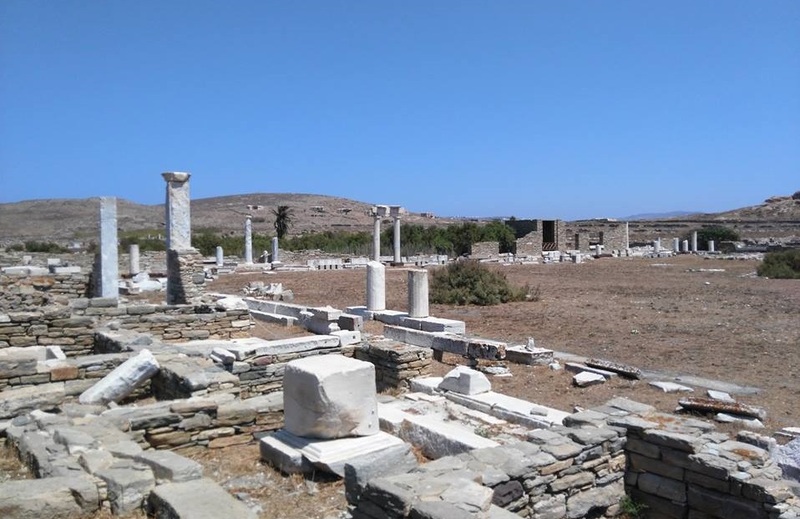 Ancient temples, archaic monuments and Greek mythology meet the enchanting setting of Delos – the most significant archaeological site in Europe,” an announcement said. Inspired by Alexandra Dimou, “Hera” was composed and directed by Theodore Abazis, while the libretto was written by Elsa Andrianou. The opera features mezzo soprano Irene Karagianni, actor Manolis Mavromatakis, soprano Aphrodite Patoulidou and the Municipal Plucked String Instrument Orchestra of Patra, which will be conducted by Anastasios Symeonidis. In efforts to protect the ancient theater of Delos, which can host only 150 individuals, the production team has decided to hold the performance at the Italian Agora, next to the avenue of the Naxian Lions, which can seat 500 individuals. The event will take place place under the auspices of the Ministry of Tourism, the Municipality of Mykonos and the Region of South Aegean. Ferries from Mykonos to Delos depart at 4pm, while the performance starts at 5pm. Admission is free.